Williams is 9-7 ahead of Higgins before third session starts. Higgins wins the first frame of third session, he trails 8-9 on Williams. Williams responses with 70 to lead 10-8. Higgins deserves to take19th frame while the reds are not in good position. Williams leads 11-9 before mid session. Higgins levels the match 11-11. In the 24th frame, Williams misses at 61 and Higgins clears up with 49 to steal the frame. Both players do not do well after mid session, keep missing balls. Both Higgins recovers to lead 13-11 after third session, a great comeback for Higgins. Williams is now in trouble, can he win it tonight? Trump did a comeback and level 12-12 last night. It's best of nine to today competiting for a seat in final. Trump takes the opening frame of the session with 74, 13-12. Trump hits 89 before Ding knocks a 138. Ding levels the HB of WC this year made by Mark King. In the 28th frame, amazing and unbelievable clearance 47 by Ding helps to level the match 14-14. After mid session, Ding hits his third century 119 in the match, 15-14 ahead of Trump. Trump levels the match 15-15 by colour clearance. Re-rack for the 31th frame, brilliant 68 by Trump brings him 16-15. Ding was first in in the 31th frame but he missed at 27. Trump beats Ding 17-15, he finished off with a century 105. 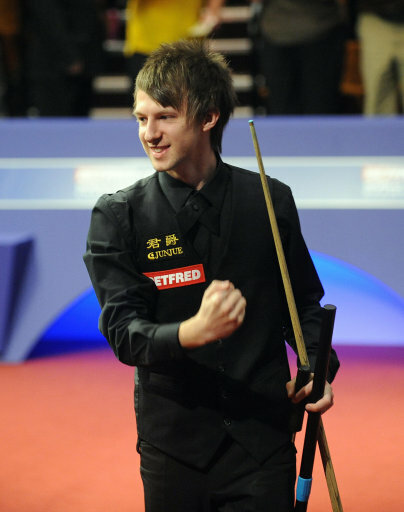 Amazing Performance by Judd, cope really well under pressure, does not throw any chance to Ding. Well deserved for Trump to get a seat in final! Incredible run since April, could he win back-to-back title? Higgins holds a 13-11 lead over Williams before last session. Williams starts with a long red in the first frame of the session, he attempts maximum but stopped at 105. Williams responses with 92 after Higgins takes the scrappy second frame. In the 28th frame, a spectator stands up in the crowd and insult Higgins brings shame to the game (match fixture scandal last year). But Higgins keeps his professional spirit, finishes to win the frame with 123. Higgins leads Williams 15-13 before mid session. After mid session, Williams wins the first frame with 84 to trail 14-15. But Higgins does not leave any chance for Williams to level anymore. 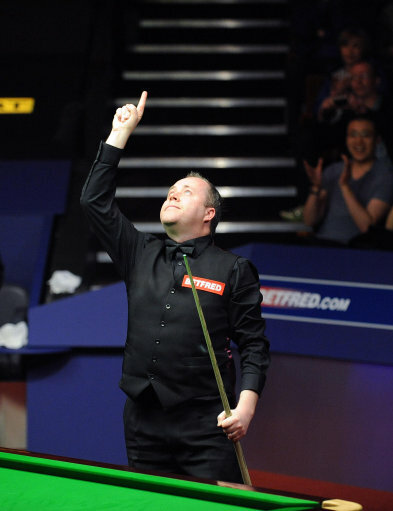 John Higgins beats Mark Williams 17-14. He meet Trump in the final, trying to get his fourth world title tomorrow.